The only sound was the dogs barking. That's all she heard as they pulled into the dog meat farm at 7 a.m. after a two-hour drive from Seoul, South Korea. "Even though all of our windows were closed to keep out the literally freezing cold," Miyun Park told The Dodo, describing that February morning. Park, a consultant working with staff from Humane Society International (HSI), was at one of the many dog meat farms in South Korea. 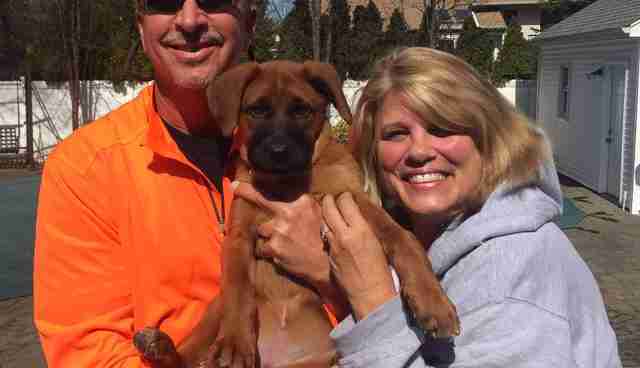 They were there to help a dog meat farm operator and his wife shut down their operation. And to find loving homes for the approximately 250 dogs. 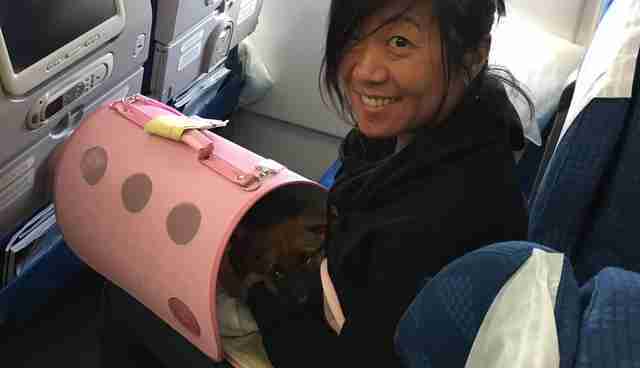 On this particular trip they would rescue 50 dogs, one of whom Park would personally take back to the states, a mixed-breed puppy she named Juna. "When I first saw the makeshift barn - really just a structure with a questionable roof and plastic sheeting for walls - my heart hurt just thinking how cold the animals must be," Park said. She pulled back a corner of the plastic. And walked inside. What she saw was shocking. She was overwhelmed by the sound, and the smell of ammonia from feces and urine. There were hundreds of dogs of varying ages, mixes and breeds. They were all caged. "Some huddled in far corners of their cages with their eyes averted," Park said. "Others clamored for attention. And a handful seemed to exhibit stereotypic behavior [such as continuously pacing in their cage] after months in intensive confinement." She found it was a myth that only certain breeds were raised for human consumption. Along with the numerous mixed breeds she found purebred Siberian huskies and Labradors. Since 2014, HSI has been working to end the dog meat trade and has since helped save more than 10,000 dogs from slaughter in China and South Korea. "Since they range from small, 'backyard' farms to large-scale, intensive facilities with thousands of animals, it's hard to know how many individual farms are in South Korea, but we do know that more than 2 million dogs are raised on these farms throughout the country every year," said Kelly O'Meara, director of companion animals and engagement at HSI. As one of the 50 dogs being rescued that week, Juna's roughly four months on Earth were nothing but life in a rusted, metal cage. South Korean winters mirror those of New York City, according to Park, with a lot of snow, harsh winds and freezing temperatures. Juna and the other dogs were housed in open-sided structures with walls of plastic sheeting. "When we first met her, she was huddled with her mother and siblings for warmth, standing awkwardly on wire flooring," Park said. "As we lifted her out of her cage, she was almost listless and wouldn't make eye contact with any of us." Although all the dogs at the farm will be rescued, Juna was among the 50 they took because she was so young, and they were concerned about her vulnerability. 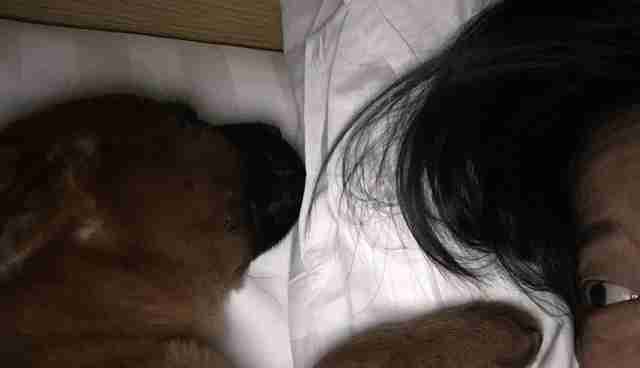 "Understandably yet heartbreakingly timid, she was a completely different girl after she had her first-ever bath, a long drink of water, a warm meal and a cuddle," Park said. In a matter of hours, Juna became happy and well-adjusted. The HSI rescue team was unable to take all the dogs during that trip due to quarantine and safety check regulations in addition to the varying logistics involving transport of numerous animals from South Korea to the United States. On February 20, Juna left her original fate and became Park's travel companion back to the states. 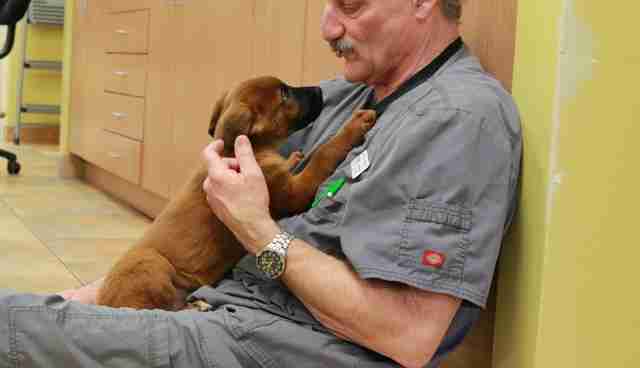 The remaining dogs will soon join the rescued ones in the U.S. and be rehomed. In the meantime they will have more comfortable enclosures and veterinary care provided by HSI. A single text message sent by Park while still in South Korea to her friend Erica Kubersky - co-founder of MooShoes, a cruelty-free company in New York City, and a Positive Tails board member - secured Juna's medical care and expenses at Veterinary Emergency & Referral Group in Brooklyn. 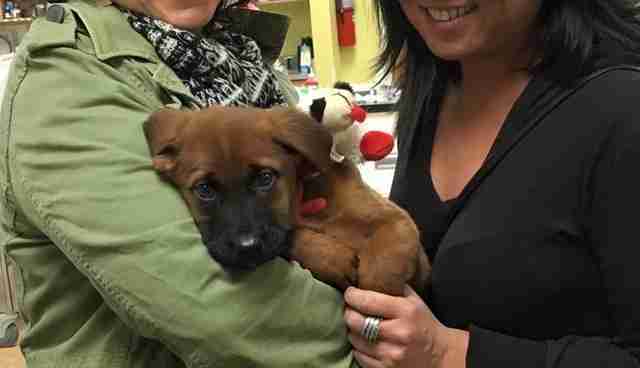 It also connected with Foster Dogs NYC, which helped find Juna's foster parents. Foster Dogs received a plea for a foster home while Juna was en route to the U.S. "We reached out to our network of foster homes, and had a foster commitment from a volunteer within 20 minutes," Sarah Brasky, founder and executive director of Foster Dogs NYC told The Dodo. Juna has since been adopted. 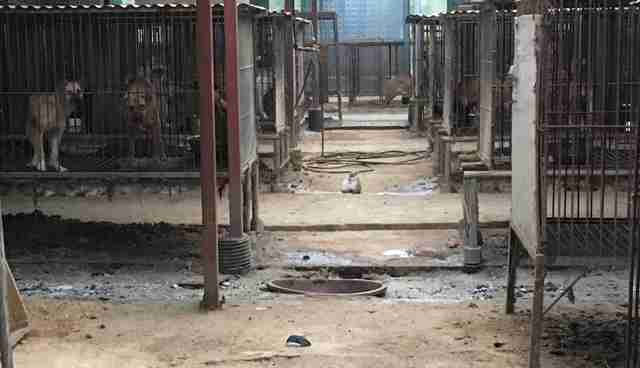 And Park and HSI continue to fight for the others left behind on farms. 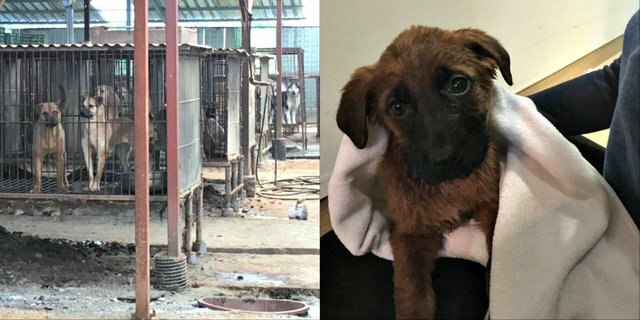 "This trip to a South Korean dog meat farm was my first, but it certainly won't be my last," Park said. "We will continue fighting to end the eating of dogs until the practice is a thing of the past." HSI continues its efforts in partnership with South Korean activists to end the dog meat trade by working with the dog meat farmers to shut down the farms or help transition them to other humane livelihoods. It lobbies to protect these animals, rescue them and rehome them. To find out more, visit HSI's website. 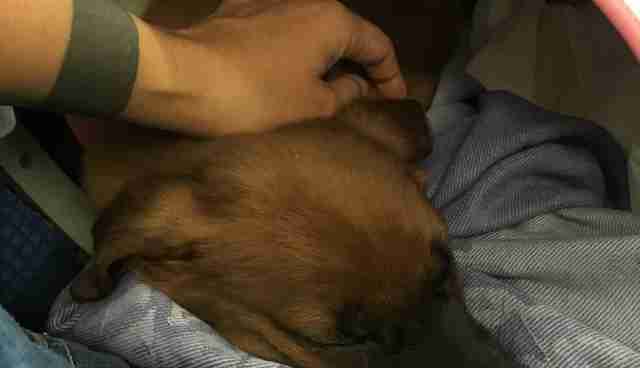 For more information about this rescue, watch below.